IN ANY LIFE CHANGING SITUATION, IT IS A PRIVILEGE TO FIND PROFESSIONAL & FRIENDLY HANDS THAT WILL SUPPORT YOUR WAY THROUGHOUT THE PROCESS. There are many ways to avoid a possible refusal of spouse visa for any country. Grounds might be different from the others or likely similar too, but how can you battle to present the application that would have a better chance of approval than a refusal. If you make the mistake of applying yourself & get refused on small points that may seem irrelevant to you, you will be left with nothing but repentance. We can help you succeed FIRST TIME !!! 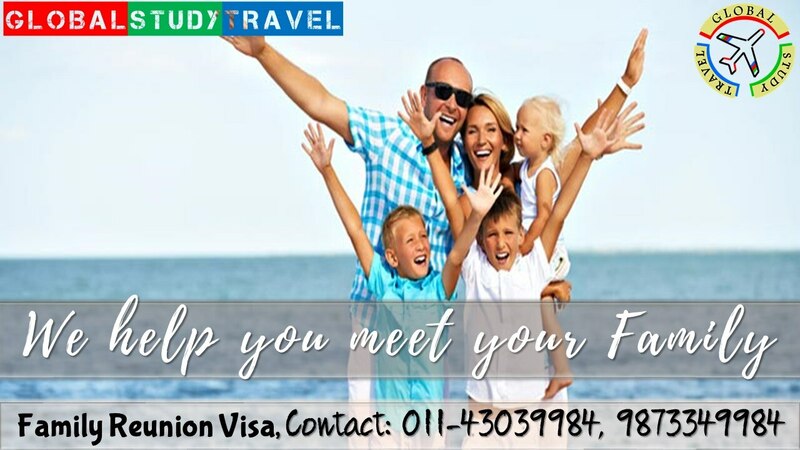 We will magnify the possibilities & use our experience and expertise to submit the best application possible for you to be successful with your visa. So get it right first time & join your life partner to complete your dream life. CANADA EXPRESS ENTRY PERMANENT RESIDENCY (PR) Canada ranks among the top ten countries to live in the world. It is recognized for its high standards of living, low mortality rate, good and free school education, and excellent health care system. The crime rate in Canada is considerably low as compared to other countries. These reasons are enough for people to wish to live in Canada. But only Skilled Worker and Skilled Trade people can have the chance to get Express Entry to Canada as the Government of Canada opened a program to apply for Permanent Residence named "Express Entry" SKILLED WORKER PROGRAM & SKILLED TRADE PROGRAM Skilled, Professional and Trade workers are people whose education & work experience help them to find work and Settle down as Permanent Residents in any part of Canada. With large number of people retiring in Canada every year, the need for manpower is growing tremendously. SKILLS IN DEMAND Engineers (Civil, Mechanical, Electronics & Electrical, Software, Petroleum etc. ), Teachers, Nurses, IT, Sales & Marketing, Healthcare, Banking, Insurance, Finance & Accounts, Trade Persons, Technicians and many more are in high demand in Canada. While applying for immigration, people feel that filing the application is the first & foremost part of the procedure. This is where we step in. Check out what we do for our clients - •	We administer detailed assessment of applicant’s education (Academic & Professional), professional skills/training & work experience for PR in Canada. •	We give free coaching for IELTS preparation to our registered clients. •	We create the necessary profile for academic assessment from a Canadian agency prescribed by CIC. •	We create the Main Profile to enter into Job Bank. •	We create the Job Bank Profile of the client for being recruited by an employer from Canada. •	Once the application is picked from the Job Bank, we submit the complete case with documentation & supporting evidence to the Visa Processing Office. •	We keep the transparency throughout the process for the satisfaction of our client.